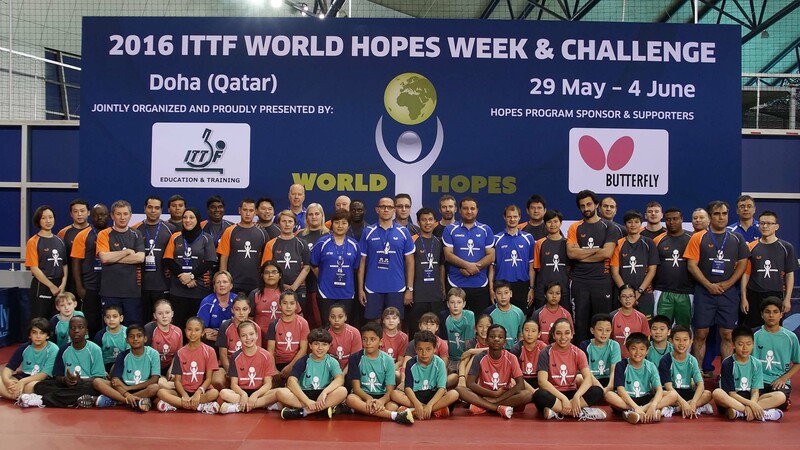 Places for three boys and three girls are being offered as “Wild Card” nominations for the forthcoming 2017 ITTF Hopes Week and Challenge, to be staged at the China Table Tennis College – Europe in Luxembourg. Proceedings commence on Friday 11th August and conclude on Thursday 17th August. Overall a total of 16 boys and 16 girls will receive invitations. Asia receives three places for boys and three for girls as does Europe. Meanwhile, for each of Africa and Latin America it is two boys and two girls; whilst for North America and Oceania it is one boy and one girl. A place for one boy and one girl is reserved for the host association; thus places for three further boys and three further girls are available. All national associations may apply for a maximum of one boy and one girl to attend; the closing date is Thursday 15th June. The selection criteria is based on the Hopes activities organised by national association since 2012 and includes participation on regional and continental events. Notably some forms of Hopes activities have been introduced recently and started to be implemented by continental and national associations at different times; such activities are acceptable when presenting an application.